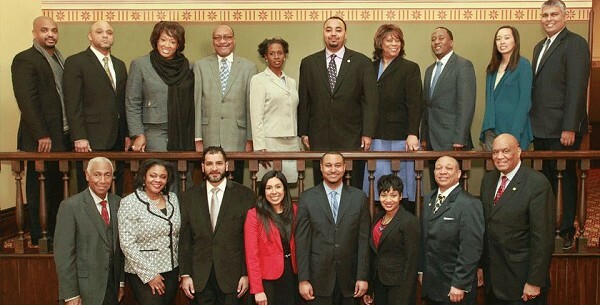 Michigan Legislative Balck Caucus gathers in Lansing. A gala Black History Month dinner and celebration is scheduled Wednesday, Feb. 22 in the rotunda of the Michigan State Capitol in Lansing. Local organizers including former Bay Cityan Vincent Berry, now of Los Angeles, and Rev. 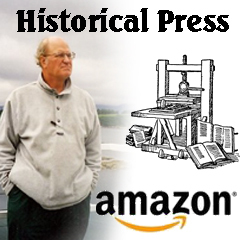 John Davis has been leading the publicity for the event. "I want to unify us and bring Unity in the Community, Liberty, and Freedom, Love and Respect to all, said Mr. Berry. The Michigan Legislative Black Caucus is sponsoring the Lansing event, called "Together We Can," and has issued a call: "join us in Lansing to discuss education, criminal justice reform and water issues in Flint." The event offers free dinner and transportation to those wishing to attend. "Since its modest beginnings more than three decades ago, the Michigan Legislative Black Caucus has been at the forefront of the fight for social and economic justice for all Michigan citizens, organization leaders state. "We are proud to be a multi-generational group that focuses on serving ordinary people who have ordinary problems. We seek to address challenges by finding solutions that will enhance the communities in which we live. "Topics that we focus on include economic growth, early childhood education, health care, senior living and protecting our natural resources. "We encourage you to participate in events and programs that the caucus holds around the state. It is also vital that you communicate with your legislators about the issues that affect you and concerns that you have about state government." The Michigan Legislative Black Caucus was formed in the Detroit home of Rep. Morris Hood, Jr., who was elected as its first leader. The caucus has contributed to many milestones in our state history, including the establishment of the Martin Luther King Jr. holiday in 1985 and the election of the first African-American (Kwame Kilpatrick) as leader of the House Democratic Caucus in 2000. "The history of the Michigan Legislative Black Caucus tells a story of courageous political leaders who worked to make a difference and to create a better Michigan for future generations," states the group on its website.